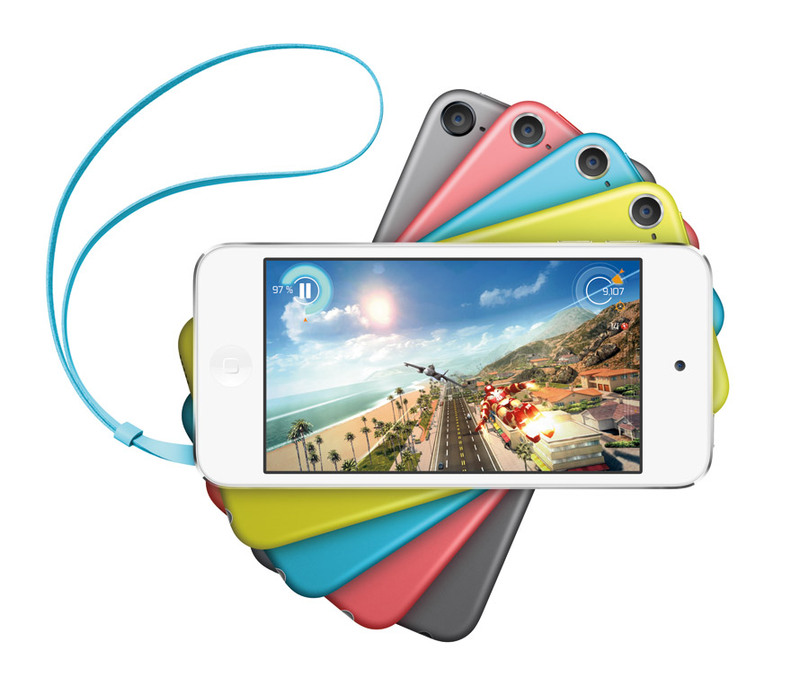 Introduced in September 2012, the iPod touch (5th Generation) included the lightning connector and larger 4" screen of the iPhone 5 (announced alongside), but in most other respects resembed an iPhone 4s on the inside: it included the same A5 processor (though operating 25% faster) and doubled the RAM of iPod touch (4th Generation). Other impovements included Bluetooth 4.0, improved rear and front cameras, and marginally better battery life. On the outside, it used a similar design language to the soon-to-be-released iPad mini, and tied visually to iPod nanos and shuffles through the 6 available back plate colors: pink, yellow, blue, silver, slate, and (PRODUCT) RED. In September 2013, slate was replaced with space gray. In June 2014 16 GB models were introduced at a cost of $199, and the 32 and 64 GB models were reduced in price to $249 and $299, respectively. 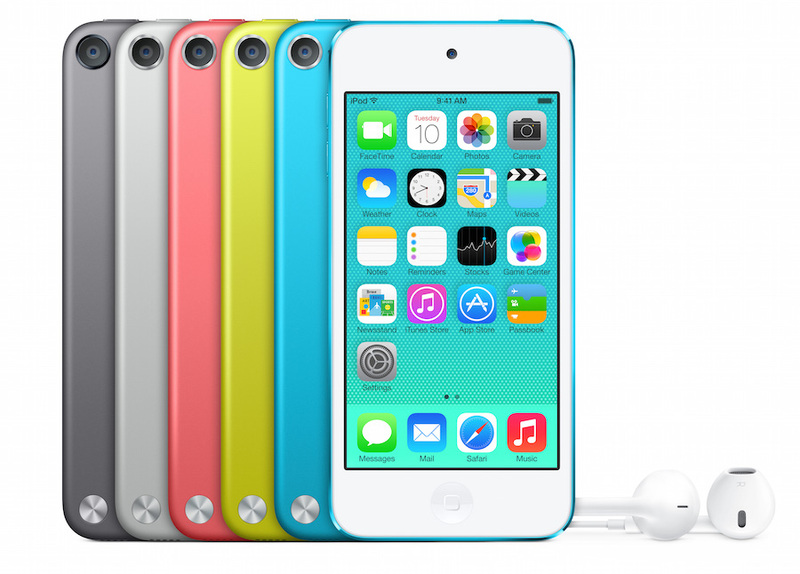 All models were replaced in July 2015 with the introduction of the iPod touch (6th Generation).